Fried plantains are a popular side dish in both Puerto Rico and the Dominican Republic. To reduce calories, oven-fry them and serve with a dipping sauce made with reduced-fat sour cream. 1 of 3 Heat oven to 400 degrees F. Trim ends from plantains, then cut a slit down one side. Peel plantains, beginning at the slit. Slice crosswise into 12 pieces, each about 1/2 to 3/4 inch thick. Place in a large bowl. 2 of 3 Toss plantain slices with oil and 1/8 teaspoon of the salt. Transfer to a large nonstick baking sheet or two smaller sheets (these can be lined with nonstick foil if they're not nonstick), laying slices flat. 3 of 3 Bake plantain slices at 400 degrees F for 15 minutes. Remove pan from oven. Place a few slices on a cutting board, and press gently with the bottom of a glass or measuring cup. Turn over (bottoms will be lightly browned) and return to baking sheet. Repeat with all slices. 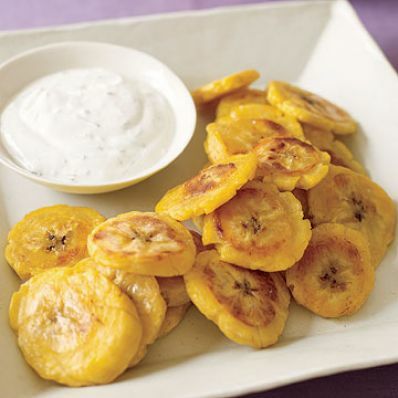 Coat plantain slices lightly with nonstick cooking spray and sprinkle with remaining 1/8 teaspoon salt. 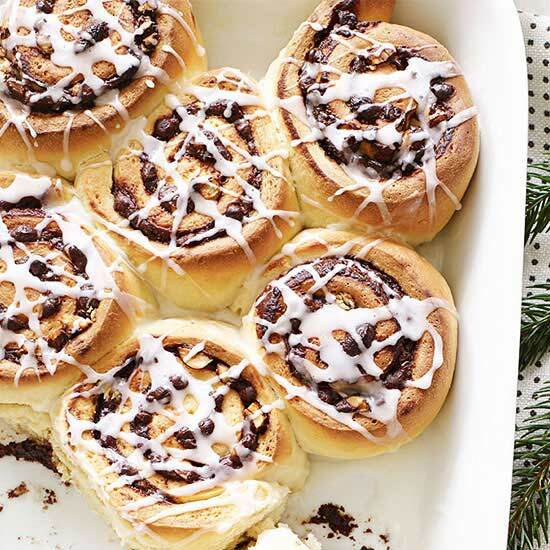 Return baking sheet(s) to oven and bake an additional 5 minutes, until crisp. Serve tostones warm with Cilantro Cream on the side for dipping. 1 of 1 In a food processor or mini chopper, combine cilantro, sour cream, milk, hot pepper sauce, salt and pepper. Pulse until cilantro is chopped and sauce is smooth. Per Serving: 116 mg sodium, 2 g fiber, 3 g sat. fat, 9 mg chol., 9 g Fat, total, 30 g carb., 2 g pro., 194 kcal cal.